Flip a coin. 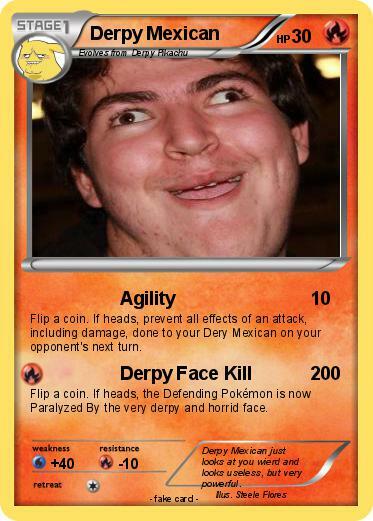 If heads, prevent all effects of an attack, including damage, done to your Dery Mexican on your opponent's next turn. Flip a coin. If heads, the Defending Pokémon is now Paralyzed By the very derpy and horrid face. Comments : Derpy Mexican just looks at you wierd and looks useless, but very powerful.